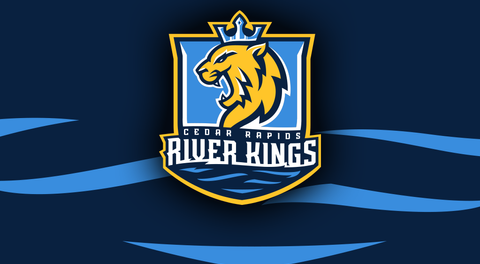 The Cedar Rapids River Kings have announced the addition of Reggie Harris to their front office team for the 2019 IFL season. Reggie joins the River Kings for his first season in the Indoor Football League and brings a wide breadth of experience that includes four years with the management group of the AFL’s Kansas City Brigade from 2003-2007 (Golden Peak Sports & Entertainment) where he served as the General Manager. He was also the General Manager of the Kansas City Phantoms of the Champions Indoor Football league in 2016-17. During his time with the Brigade, Reggie oversaw the day-to-day business operations of the expansion franchise and guided the team to a top-three finish (out of 18 teams) in attendance, season ticket sales and merchandise sold. Over the course of his career, Reggie has also managed youth sports academies and oversaw the daily operations of a personal management company that assisted professional athletes with financial and marketing strategies. Beyond football, he has served in management and operations roles in telecommunications, business consulting, and has over six years of management consulting and public accounting firm experience. Reggie will assume the General Manager position for the River Kings as Ryan Eucker will be stepping into a new role with the team as a co-owner and advisor. Eucker, who was brought in by the new ownership group led by Roy Choi and Matt Stone in August of 2018, will be transitioning to the River Kings’ cousin franchise in San Diego (also owned by Choi) and will assume the General Manager position for the Strike Force to oversee with the day-to-day operations of the expansion team. Reggie earned his Bachelors of Science in Accounting from the University of Missouri – Kansas City and currently resides in the Kansas City area with his wife, Kami, and two children, Jamison (13) and Jayden (8).